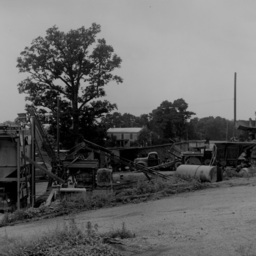 Photograph taken by William Hoyle Garber showing the C.S. Mundy Quarry in Forestville Virginia. 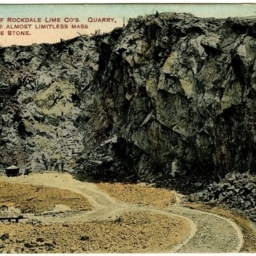 Postcard with a picture of part of the Rockdale Lime Company's quarry in Toms Brook Virginia.